Marana, Arizona. 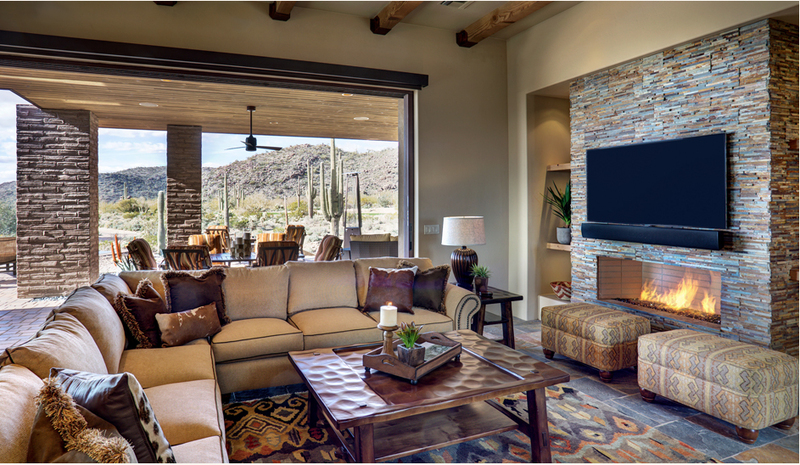 Sitting on 0.3 acres, this two-bedroom home is part of a private Ritz-Carlton community at Dove Mountain. The interior features tongue-and-groove ceilings, travertine floors, and a great room with retractable glass walls. Set along a Jack Nicklaus golf course, the house allows for views of the Tortolita and Santa Catalina mountains. $1,379,000. Rich Oosterhius, the Residences at the Ritz-Carlton, Dove Mountain, (877) 451-7205.